Most of you all know by now that I’m planning to deliver this baby NATURAL for my first time. That’s right, no drugs with this childbirth. What you may NOT know is that I’m also planning to have this baby in the comfort of my own home. WHAT! YOU’RE CRAZY! That’s not safe. First of all, I literally live 5 minutes from a hospital, and second of all, I’m not opposed to going to the hospital if complications arise. My midwives come prepared with an emergency back-up plan. Items they bring: include oxygen, IV, suturing materials, drugs to control hemorrhage, and neonatal resuscitation equipment. That being said, I really don’t expect anything to go wrong. I’m visualizing a safe, and beautiful natural homebirth. • I won’t be tempted to get the epidural if I’m at home. I won’t have that option, and I REALLY want to have this baby natural. • I can have a water birth and I have the choice to deliver in any position I choose, instead of being confined to a bed laying flat on my back. I’ve read that squatting is a more natural position for childbirth and lying on your back is one of the worst. Makes labor more intense and pushing even harder, but it’s the best position for the doctor so that’s why it’s being done this way. • I won’t have to be away from my kids and they can be more a part of the whole experience. I’m not planning on having them in the room when I deliver, but I’d love to have them there as much as possible after baby arrives. Also, my husband won’t have to leave me to take the kids home for the night. We can all stay together the whole time. • Less risk of germs and infections. Even though I’m sure they take all sorts of precautions at the hospital. I can’t help but think of all the different people who come in and out of each room, the blood, ew! I never dared walk barefoot in my hospital room. I always had socks on, but then when I’d get back in bed I would think of all the germs on my socks that I’m putting into my own bed. Then to use the bathroom and the shower… I just felt like I was using a gas station bathroom. Maybe I’m just a bit of a germ freak. • I’ll be able to relax more being in my own home. Don’t have to worry about what I’ll need to bring to the hospital. I’ll have everything I might need here with me. I’ll have more privacy and less random people coming in and out of my room every 15 minutes. • It will just be a more intimate experience. It’s a much more relaxed setting and everything goes slower after birth. The baby isn’t whisked away for unnecessary bathing, weighing, ect. You get the time for immediate bonding and breastfeeding without any disruptions. The more I’m learning about natural homebirth, the more excited I am about this new experience. Can’t wait to share it with you all. I’m sure I’ll have lots of pictures and video footage to show you. 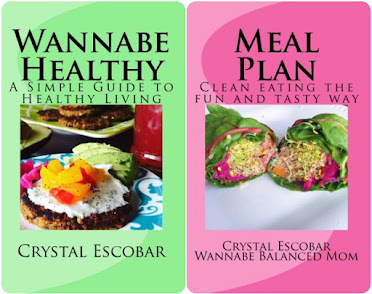 My name is Crystal Escobar, mother of 4 and wannabe balanced mom. Passion for helping other mothers find balance and purpose in motherhood. 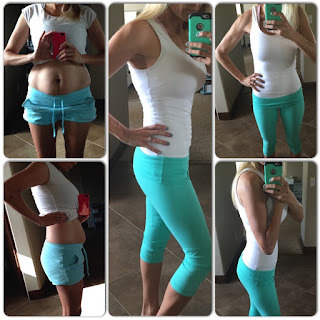 Millionaire momprenuer, health & lifestyle blogger. Let's connect on Instagram or catch me on Facebook Live. Find me under "Wannabe Balanced Mom". Pick up only (Draper Utah), may take up to a week for it to be ready. The kit comes with your starter Scobi, 2 cups Kombucha, sugar, grean tea, gallon size mason jar, and my Guide to Fermented Foods. Worlds Sexiest 30 Year Old!